2Here's how to do it. 2.1Make awareness a big deal. 2.3Declutter your life of as many of these people and situations as you can. 2.4Create a sacred space for the things that matter most to you. 2.5Build up your own radiant energy. I work with feng shui clients around the world who struggle with some form of the same draining problem. Sometimes a space itself is just plain spooky, but typically it’s chaotic people who inhabit a space that create the energy vortex. Are you there right now, living with vampire energy dragging on you? Vampire energy is a name for characteristic vibe of those who, for a multitude of reasons, squash dreams, create confusion, wreak havoc and make strong, happy, talented, earnest people feel small, ineffectual and weak. Let’s start by saying that vampire people are not “evil.” At least, most aren’t! In fact, they might be people you care about deeply; great people stuck in lots of negativity. No one is perfect. That doesn’t make it OK to let this drag on forever as a dynamic that sinks your confidence, well-being and happiness. When I’m on to something really excellent in life, vampire energy seems to stir up all around me. I now see this as a sign that I’m doing great things. 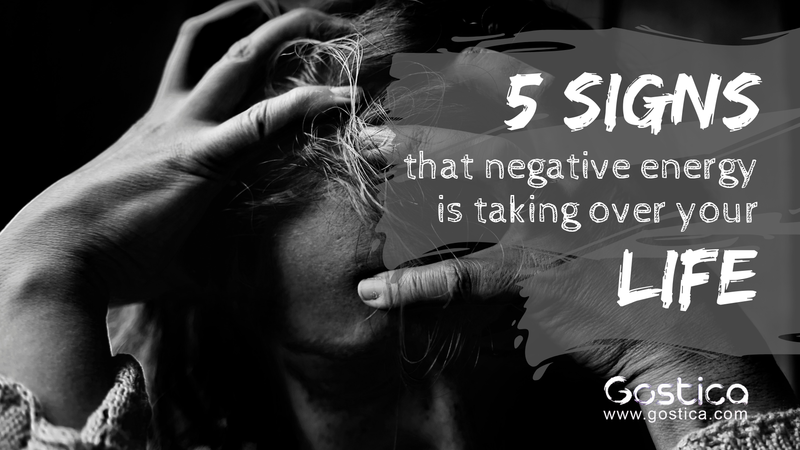 This used to be the point where (because I wanted everyone to like me) I would sabotage my own success and start a downward spiral of dark thoughts, fear and even illness from the stress of all the negativity. My home, finances and love life mirrored this wild instability. They were up, then down. Organized, then a tornado. I would be super-healthy, happy … then shattered and in tears. I became scared of things becoming “too good” because somehow the good would heart-breakingly fall away. I was afraid to succeed because it meant that a wave of fear and chaos would follow. When I finally realized I was surrounded by tons of toxic energy and many toxic relationships, I dove into every bit of help I could find to detox my life of this dynamic. Conversations leave you feeling confused or unwell, and EXHAUSTED. You keep hearing backhanded compliments, or just plain criticism. You feel wrong for being yourself or speaking your mind. You listen to lots of talk about fear and doom, and feel fear or anxiety where you felt none before. There’s lots of complaining, but no desire for help or change. There are many more potential signs, but generally, life feels smaller, less vibrant and less full of opportunity when you get deeply involved in the vampire dynamic. Have you been there? Are you being dragged down a bit too much right now? It’s transformative to clear your life of the heavy stuff that’s weighing you down. Make awareness a big deal. Once you see what’s happening, you can change it, even if it’s challenging. Taking responsibility for participating in this dynamic, rather than being a victim of it, is a great way to start clearing space. I used to try to reason with haters. As a life tactic, this has only failed me and wasted time. Declutter your life of as many of these people and situations as you can. I’ve learned to love many people from a safe distance, especially the people who were abusively negative. There’s no right way to do this, but get as much counseling or support as you need! Create a sacred space for the things that matter most to you. Julia Cameron shares an exercise in her book, The Artist’s Way, to create a safe space for precious things — like your art or your relationships — to flourish amid vampire energy. You only allow the most supportive people you know to share in these aspects of your life. Those topics stay 100% off limits to all but the people in your personal inner circle. Build up your own radiant energy. When you’re stronger, you’re more resilient! Baths in Epsom salt and baking soda (1 cup each) are relaxing and rejuvenating. Clean your house. Eat more plants. Bask in more sun. Get deep into self-love. You’ll know when you’ve succeeded in your vampire energy detox when life is brighter, your home is more organized, you’re happier, more energetic. You’ll sleep more soundly. It’s amazing how much more free time you’ll have. Money and love might even flow easier to you! You’ll get your personal magic back. A side benefit of decluttering life in this way: you may inspire some people around you to detox their own negativity and thrive with you! This article was written by Designer & Feng Shui Master, Dana Claudat, for MindBodyGreen. My sis is going all through these situations, I will suggest her these remedies.